Delivered and received effectively, feedback can raise self-awareness, identify learning needs, help individuals fulfill their potential, and promote productive communication. 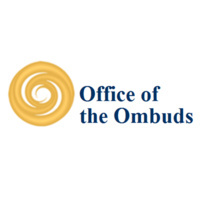 Join the Office of the Ombuds on October 11, National Ombuds Day, for a lunch time presentation on strategies, tips, and best practices for both giving and receiving feedback constructively and effectively. RSVP to elin.horwedel@ucsf.edu. Please include which location you plan to attend.